We are just moments away from October and that means the countdown to Christmas is officially on! Don’t panic though, dear readers, Ms. Jeannie is here to help you shop. 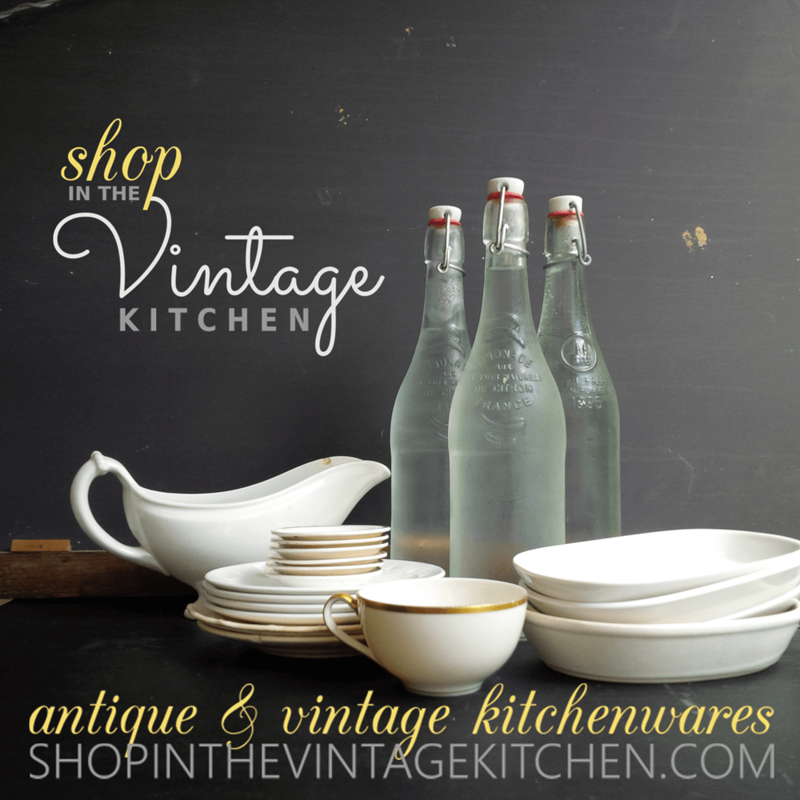 With just 12 and a half weeks until the big holiday, she’s excited to launch her holiday gift guide – a contemporary vintage suggestion gift list that incorporates the old with the new for one completely memorable gift giving experience. 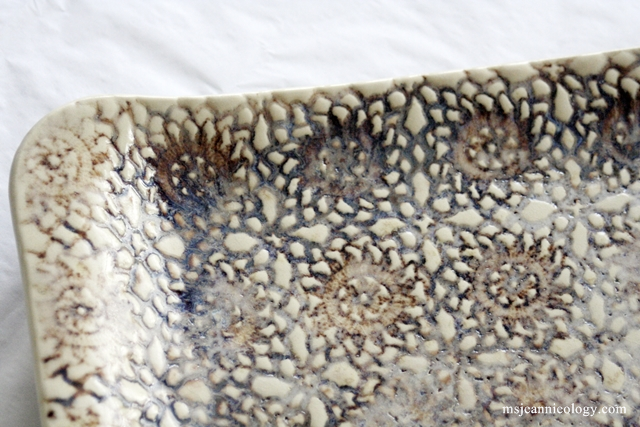 Embossed with vintage lace and crochet patterns, these stoneware dishes and serving pieces combine the prior popularity of the doily with a fully functional and modern shaped piece of pottery. 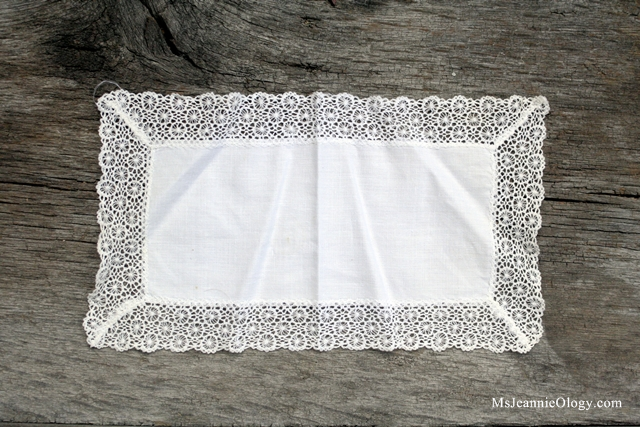 The doily has been around since the 1700’s and was intended to protect wood and cloth surfaces from dirt and scratches. Many (so many!) for centuries were used on tabletops to protect expensive wood and on couches and chairs to prevent dirt and oil from seeping into the fabric. (You’ll notice one on the back of the chair in the Christmas photo above!). Mostly, these cloth buffers were hand-crocheted – fine examples of a seamstress’ sewing abilities, a love of hobby and a stunning example of utilitarian purpose. But with the advent of modern cleaning products their usefulness has fallen out of favor in the home decorating market. What used to be an example of pride and beauty and function, now no longer seems quite so stylish in our contemporary lives. Which leaves a bit of a sentimental conundrum. 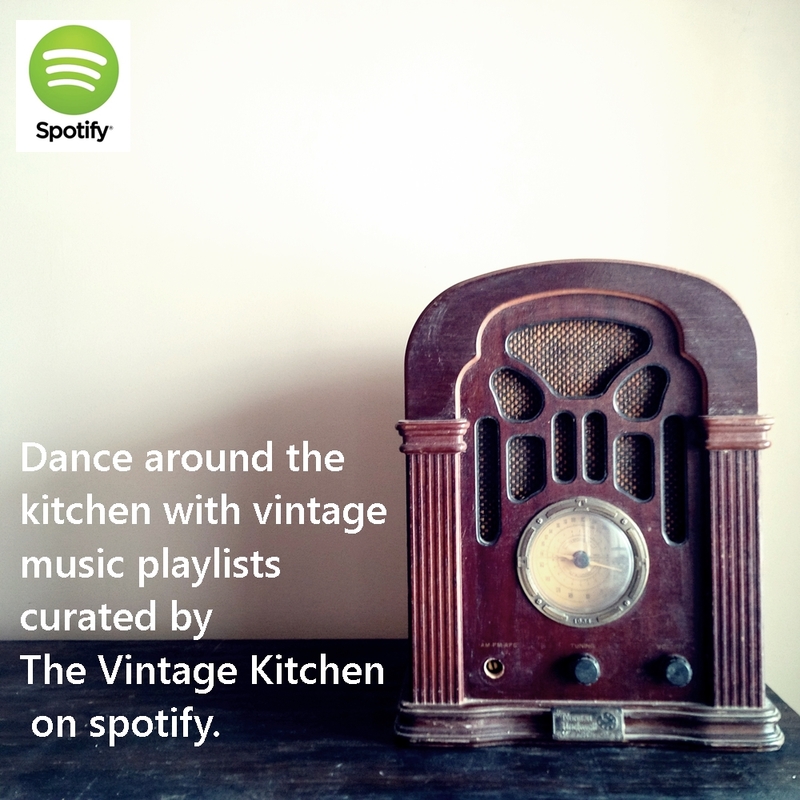 What to do with all those family heirloom sewing pieces? 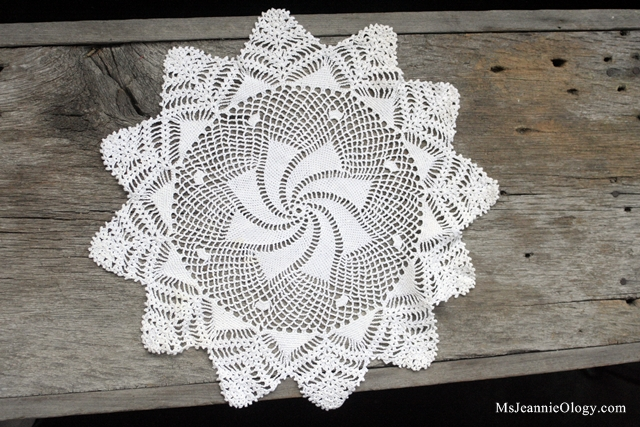 In Ms. Jeannie’s case, both her grandmother, great grandmother and great great grandmother were all sewers – which means a fair amount of crocheted doiles have been left behind in their wake. 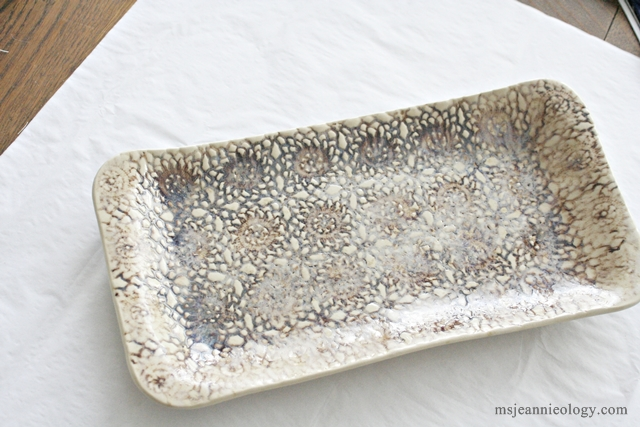 Ms. Jeannie sent this platter to her mom as a Mother’s Day gift, which made it a three generation gift. A nod to the past and also to the present! Since the design is rolled out onto the clay and then lifted before firing, the heirloom fabric does not need to be sacrificed for a project such as this. 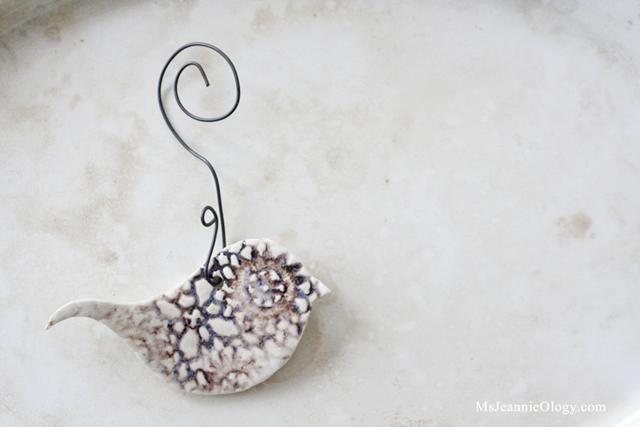 Ms. Jeannie was able to choose the shape, dimension and colors of the piece as well for a completely custom gift. Sloan also, as a little surprise, made three pottery birds (one for Ms. Jeannie and both of her sisters) to use as tree ornaments or a petite wall hanging. Two artists meeting many years apart to form one special gift for your one special person – it’s going to be one memorable holiday:) Stay tuned for Idea no. 2 next week! Hi Jeannie! Many thanks for including my lace doily dish here in your holiday gift guide! Really love seeing all these beautiful lace inspired creations, especially all of the different lace textures you’ve shared here. Great ideas Ms. Jeannie! G. Dorothy would be pleased to see her work living on especially today – her birthday! What a lovely/thoughtful gift – so beautiful. Thanks for sharing, you have my head spinning with ideas.